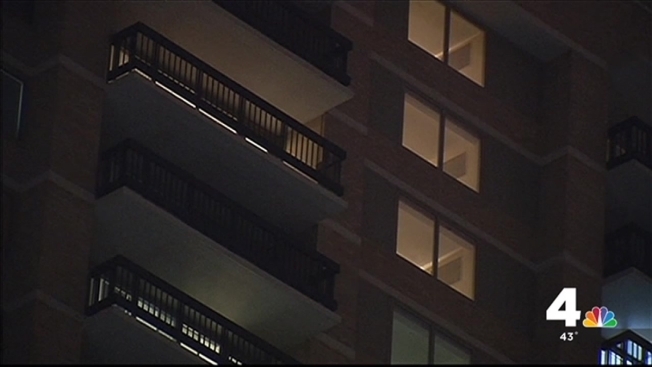 A man was found dead Tuesday afternoon in an apartment building in Northern Virginia, police say. Babtunde Fadahunsi, 35, was found with a gunshot wound on the 23rd floor of a building on the 5500 block of Seminary Road in Falls Church, Virginia, Fairfax County police said. "I don't understand why somebody would want to do this to him," longtime friend Abdul Kamara said. Kamara said he was told a maintenance crew entered his friend's apartment just two hours before his body was found. When the crew returned, Fadahunsi was dead, Kamara said. "He let them in at 12:30," he said. "They came back later on and found him on the floor." An EMS crew responded about 2:30 p.m. to a report of an unresponsive person, police said. Fadahunsi was pronounced dead at the scene, which is near a Target store and busy shopping center. The death is being investigated as a homicide. No information on a suspect was immediately released. Officers were going door to door Tuesday night asking residents if they heard of saw anything. Anyone with information is asked to contact police.